So few TV programs do gambling justice. 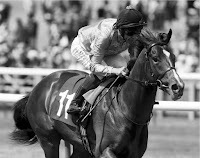 Who can remember the ill-fated Trainer? What a horrendous attempt at what ever they thought it was. For so many people betting is bad news. Unless you look at it as a full-time job or you are happy betting 50p a week then PLEASE don't get caught in its net. 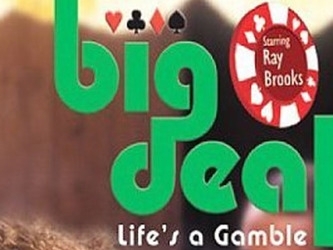 One program I'm sure many readers have truly fond memories is Big Deal starring the talented Ray Brooks. This British comedy-drama was broadcast on the BBC between 1984 - 1986. The series created and written by Geoff McQueen. Unknown to me, he also created other noted TV programs as the Bill. Sadly, McQueen died in 1994 at the age of 46 from a aneurysm. Well, Robbie Box [Ray Brooks] was a small-time gambler with a poker addiction [I think more of a way of life than addiction but I may be splitting hairs]. It was an excellent 3 series. There are a few episodes on Youtube and the BBC did have the wisdom of selling one or two series but then ceased their involvement to the irritation of many who were willing to pay good money to have this worthy DVD collection. In all 30 episodes were made. Here is the very first episode of this great gambling series.